If you think that your sprinkler system may be suffering from any of these issues, consider contacting the professionals to confirm the issue and begin repairs. It may seem to be counterproductive to be thinking of your sprinkler system while the weather gets colder and wetter. But fall is the perfect time to make sure that your sprinkler system is in tip-top shape. If you can identify and repair any issues now, you won’t have to worry about unexpected brown, dead patches on your lawn in the middle of next year’s heat wave. Two of the most common issues with sprinklers are listed below. If you think that your sprinkler system may be suffering from any of these issues, consider contacting the professionals to confirm the issue and begin repairs. If you sprinkler system is leaking, you may be seeing puddles on your lawn or your lawn may seem overly squishy when you walk on it. 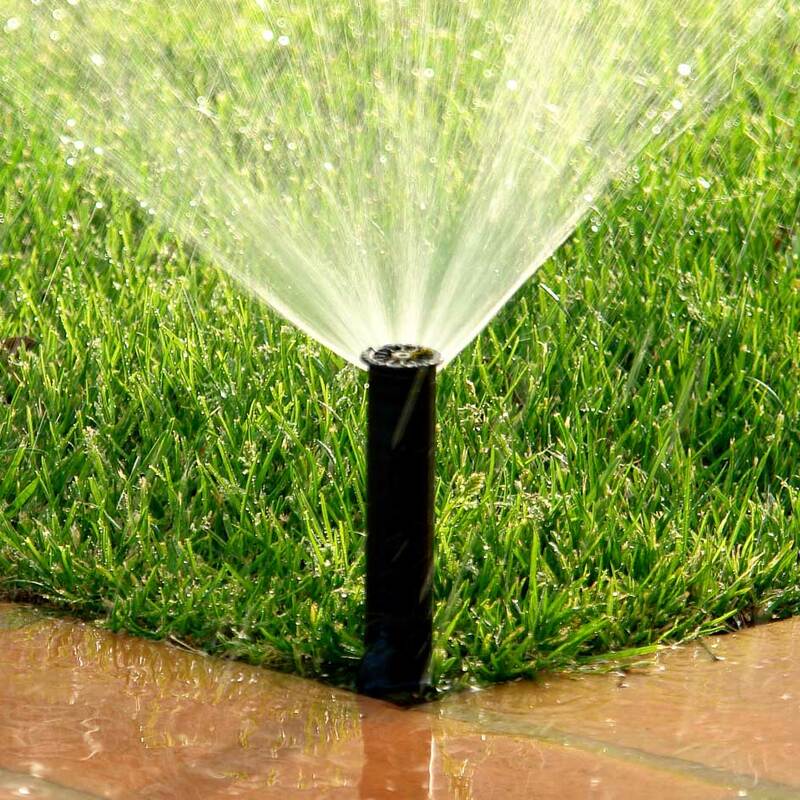 A leaking sprinkler system can quickly turn into a major headache because it can end up ruining your grass through over-watering, or it can end up wasting water causing your bills to go up. This problem is most likely caused by loose equipment or connections. Check to make sure your sprinkler heads are all tightened. However if the problem doesn’t stop after double-checking the sprinkler heads, you may have leaky pipes – something that is best fixed by a professional. 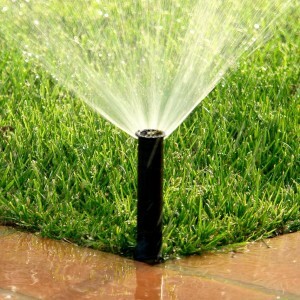 If your sprinkler system is not doing its job – watering your lawn – then the whole system seems pretty pointless. Before you call the professionals to investigate, make sure that the issue is not user error – double-check the timer in the settings panel, and make sure everything is pulled in correctly. Take a moment to investigate the fuse box – a blown fuse can cause the sprinkler system to shut off and to not water on time. If it turns out to be the fuse box, replace the blown fuse. The instructions should be in your owner’s manual, or you can contact a professional. Interested in your own holiday lighting set-up? We can help! Call the experts at Aqua-Bright today. We are experts of outdoor lighting and we can help you bring your dreams into reality. Our outdoor lighting professionals have a real passion for their craft, so give them a call. They’d love to help you pick out the perfect lighting for your yard or patio. This entry was posted on Monday, October 12th, 2015	at 12:00 pm	. You can follow any responses to this entry through the RSS 2.0	feed. Both comments and pings are currently closed.